As a software entrepreneur, I always appreciate well-designed software. Look and feel is important but ease-of-use and highly useful features are even more paramount. 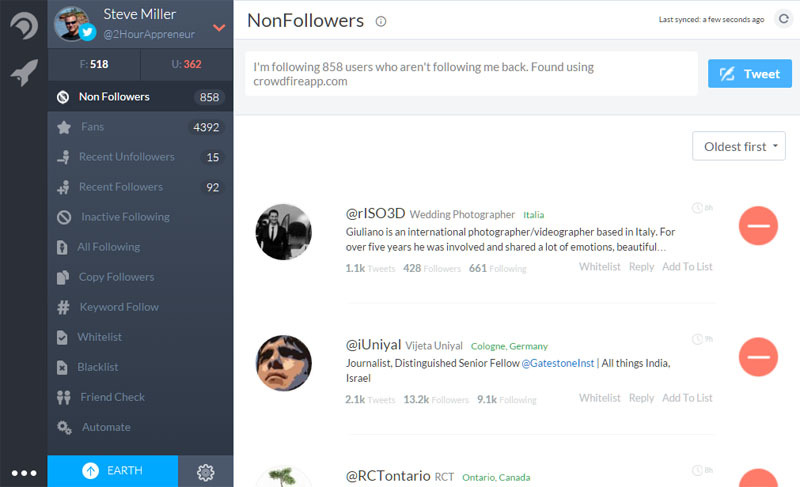 About a year ago, I introduced you to software called Crowdfire that helps you build Twitter followers. Using the software, I personally grew my Twitter followers by about 20,000 in a year. Just recently, Crowdfire converted their software to an artificial intelligence engine using data analytics as its core. 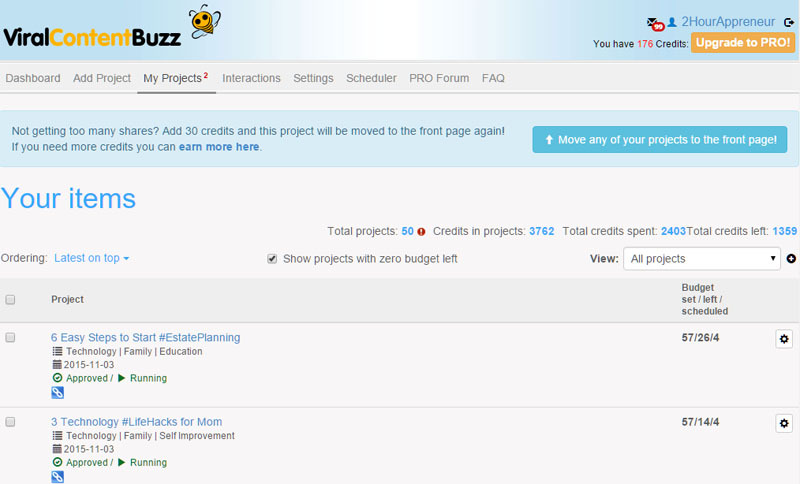 The new software is called Crowdfire 2.0 and the artificial intelligence is referred to as Firebot. Here’s how it works. Firebot asks you a few questions about the keywords you are targeting with your blog, your competitors, and the types of posts you enjoy sharing. By answering a few questions, it builds an internal analytics map that is used to recommend things for you to do each day to build your Twitter followers. 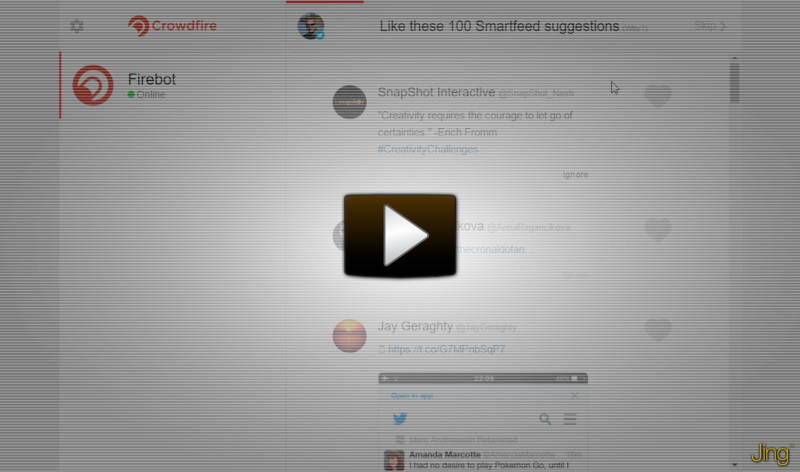 These recommendations are called Prescriptions and once you install Crowdfire, Firebot provides a convenient notification each day to guide you through increasing your followers. Going through the prescriptions each day takes less than 3 minutes and it provides an area that tells you why it is suggesting a specific action. In the movie, notice how it crunches your analytics — looking at your existing followers, the types of things you normally share, your targeted keywords and smoothly guides you through recommendations on what to do next. I always tap the WHY button for each recommendation and it clearly explains why it is recommending the action. How do you take advantage of this Artificial Intelligence? You can download Crowdfire from their website at https://www.crowdfireapp.com. If you want to be part of the beta for Crowdfire 2.0, go to http://invite.crowdfireapp.com/beta. This entry was posted in Cool Apps and tagged artificial intelligence, crowdfire, firebot, social media, twitter on July 14, 2016 by Steve Miller.